Today we woke to sunshine and decided to blow off the chores for a spell and head out for an adventure. 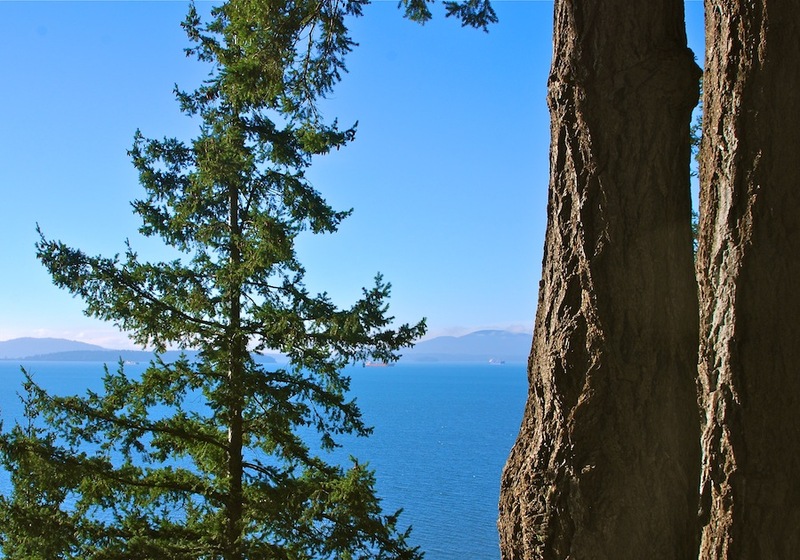 Marty had never driven up Chuckanut Drive, and I hadn’t been for years, so off we went! 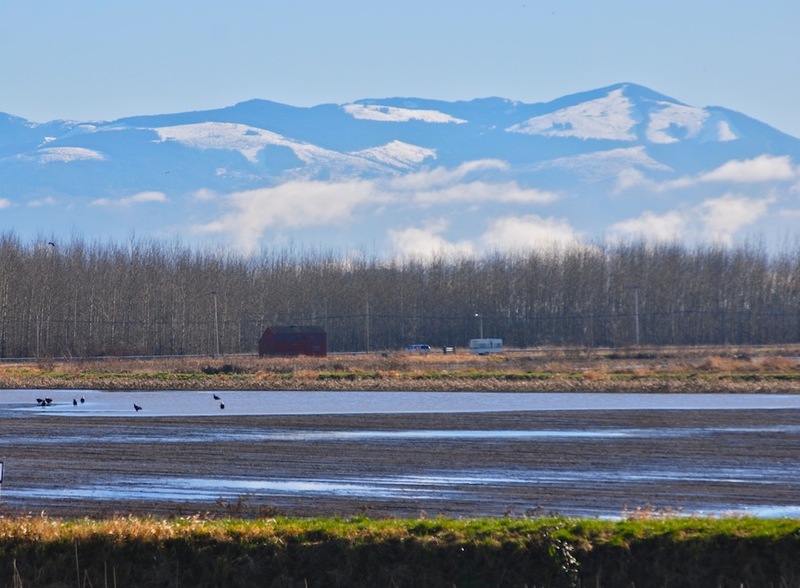 As we came around the corner from Anacortes, and onto the bridge over the Swinomish Slough, we both said, WOW….Mt. 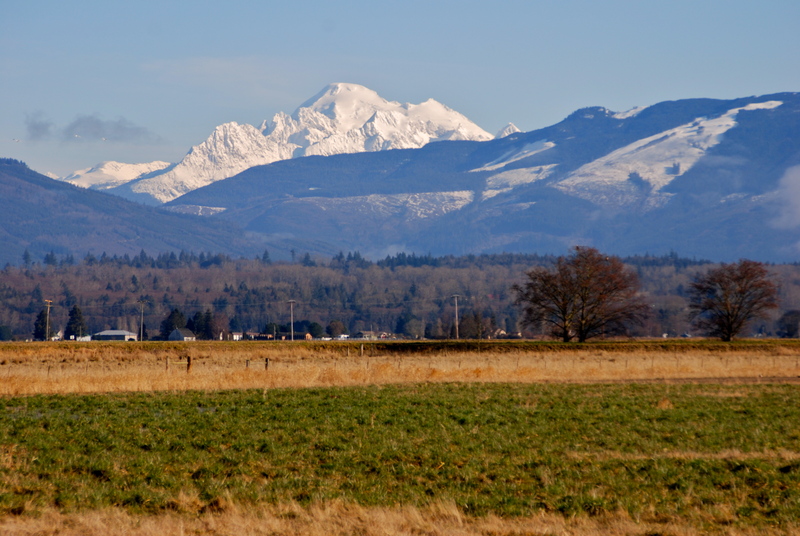 Baker was sparkling white with new snow on her glaciers against crystal blue skies. The perfect start to a perfect day! 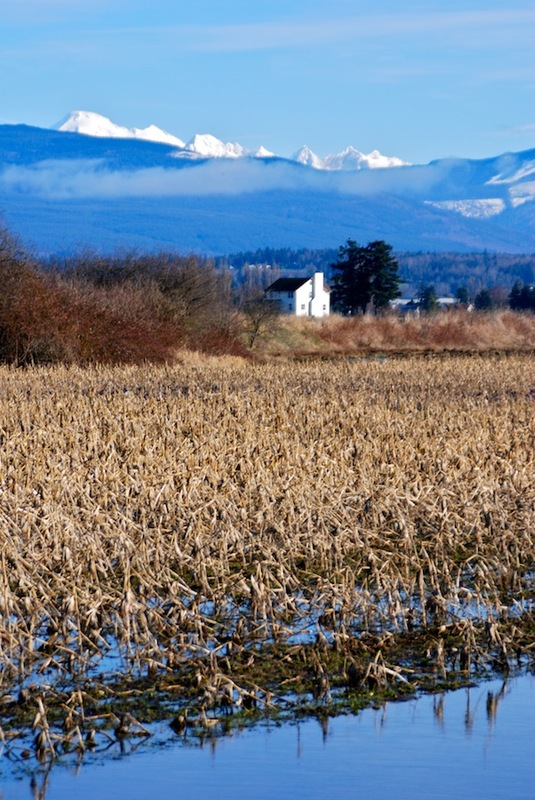 As we drove across Skagit Valley we noticed that most of the fields were flooded, and there were lots of hawks checking out the lunch buffet. Then we noticed a few eagles circling, and at one point came to a wide spot in the road where there were 4 or 5 eagles watching the action, while one young fledgling enjoyed a snack. We took a left turn off the main road to investigate what appeared to be a large group of very large birds in the distance. 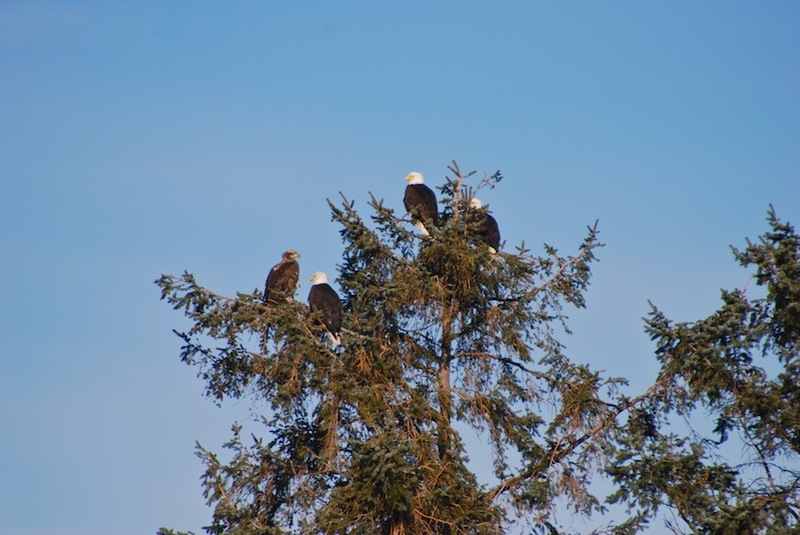 As we got closer we realized that the field was full of eagles! 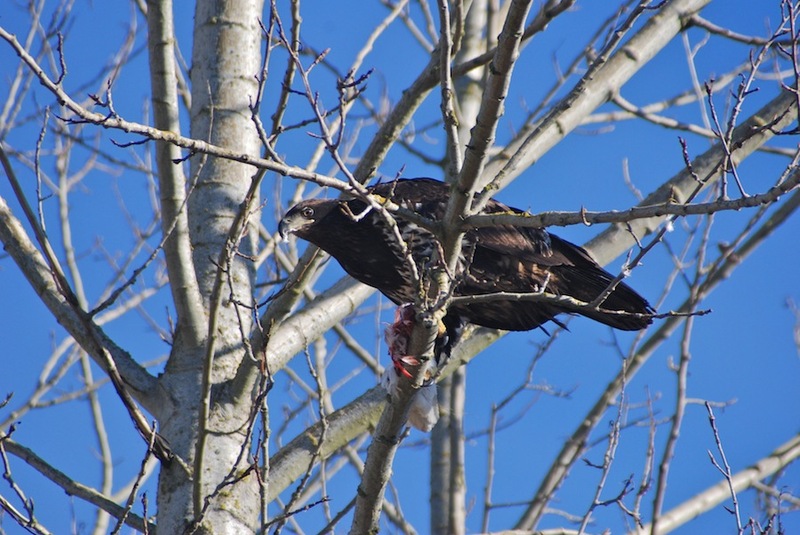 While I was snapping a few photos (few is a very relative term here..haha), I spoke to another photographer who said that the eagles spend the winter on the Skagit River, and as the salmon run starts to dwindle the eagles come to the valley for all the water fowl in the area. Certainly makes sense as there were ducks of every variety in every field. 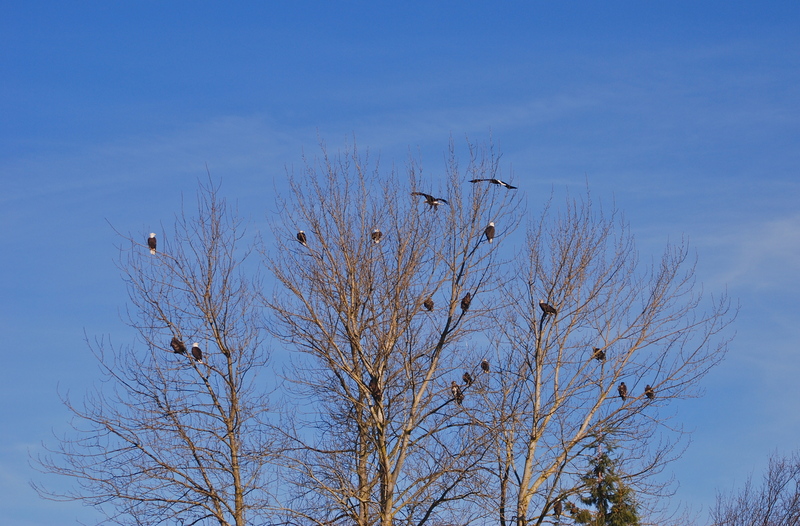 The eagle tree…can you find all 20? 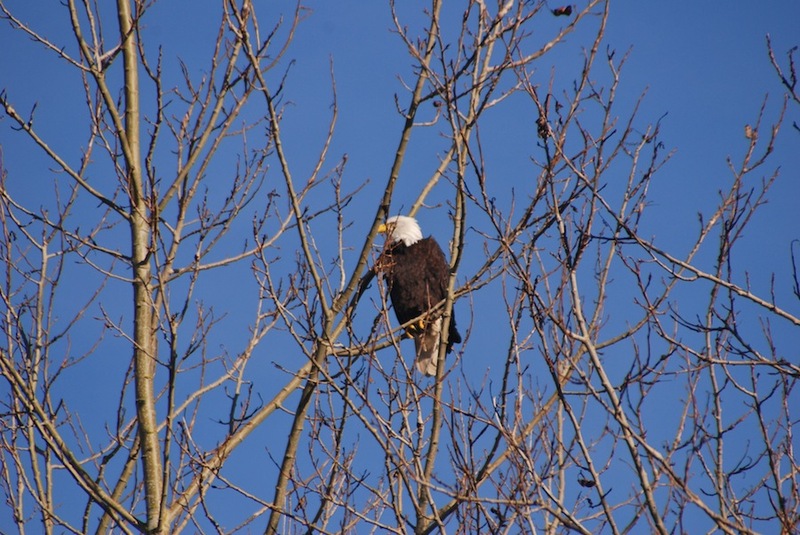 We drove a little further and found a true “eagle tree”. There were 19 or 20 eagles in this one group of birch trees, with a lot of comings and goings and plenty of “king of the roost”! It was an amazing sight and one that we won’t soon forget. After watching the show for awhile with plenty of oohs and ahhs, we decided to head up to actually start the drive up Chuckanut! The views across the valley are gorgeous, then the road starts to head back to the water’s edge as it leads north along Bellingham Bay. There are huge mud flats at the end of the bay and as the tide went out, we started seeing all the famous oyster farms. The oyster farms are amazing; they actually farm the tidelands, tilling the mud and placing the oyster seeds along big long lines. Quite a production! 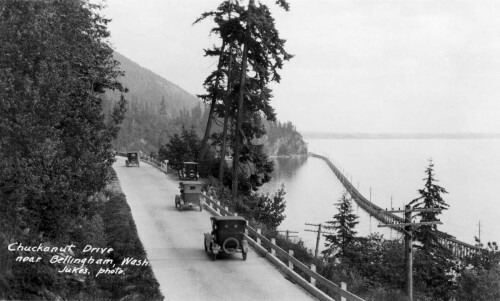 Chuckanut Drive is one of the oldest scenic drives in the state and was originally a way for farmers to get their crops to market. The drive along the edge of the bay is awesome; a narrow road with rocks on one side and a drop off on the other. Beautiful views of the shipping lanes, and British Columbia in the distance. We ended up in Fairhaven, an historic town full of restored buildings, art galleries and an Irish Pub! 🙂 I know, you’re amazed that the two of us could possibly find a pub of all things, but we did! And they had yummy beers made by some monks or something; I’ll let Marty tell you about that! I just know that the Shepherd’s Pie was lick the bowl good! Oh, and I should probably add that Marty beat me at cribbage (a rare occurrence..ha!). So, to keep in the main theme of our lives these days; Retirement Rocks!! We are definitely two lucky loons!